In 1956 Jim Elliot, Nate Saint, Ed McCulley, Pete Fleming, and Roger Youderian were martyred for their faith. They did not die in vain. Their death was only the beginning of a story that began new lives of faith in the remote jungle of Ecuador. The true story of five young missionaries who were martyred while attempting to bring the gospel to the Waodani (Auca) tribe in Ecuador. The story of Jim Elliot. The story of Nate Saint. Elisabeth Elliot and Rachel Saint bring the gospel to the tribe that murdered their husband and brother. 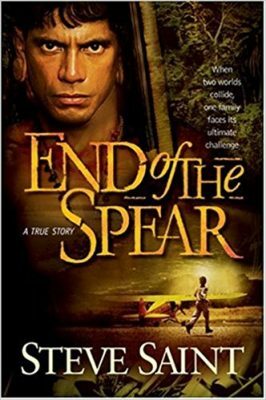 Steve returns with his family to live with the tribe who murdered his father after many of the tribe have become believers and grown to be strong Christians. Steve reveals amazing ways God made Himself known from the time the Waodani murdered his father until he uncovers the mysteries of that death years later.